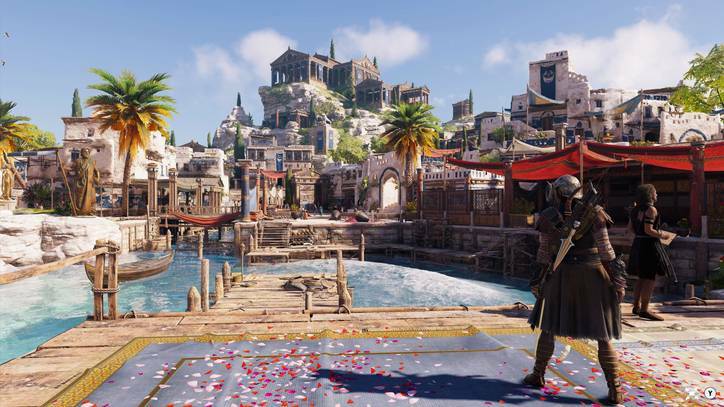 Assassin's Creed takes us to ancient Greece with an ambitious action-adventure story in another open-world title, just like 'Origins' but this time adding RPG elements to it. 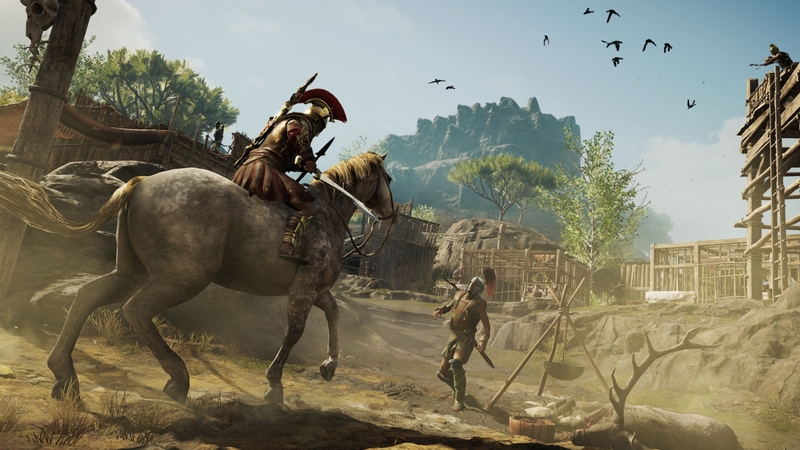 With more than a decade and dozens of titles, the famous series from Ubisoft returned with a new title after last year’s Assassin’s Creed Origins. Assimilating many of the usual elements of the RPG as one of its main novelties, in an adventure more ambitious than ever as far as size is concerned, it was a very welcome return. Oddessey offers a breath of fresh air to the franchise. 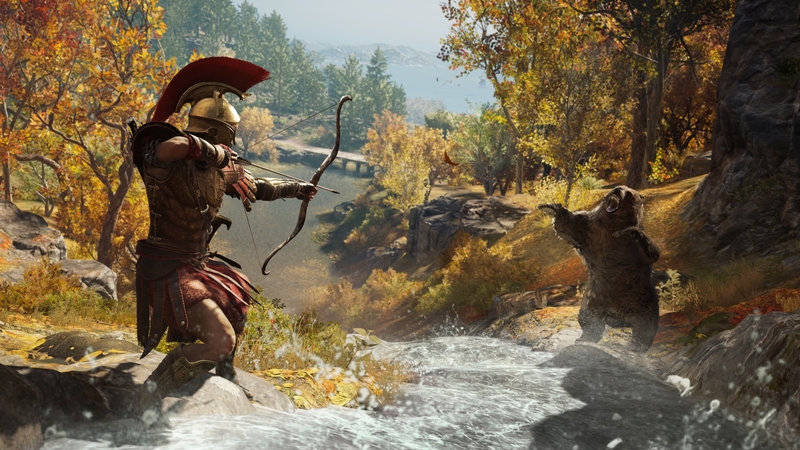 Less than a year later, and as if Ubisoft had forgotten their promise not to release an AC every year again, here comes Assassin’s Creed Odyssey, a huge game that definitely becomes an action RPG , and that was predictable is very continuous and repeats practically the same successes and defects as the title of last year, and still offering the same freshness provided by Origins . This time we travel to a beautiful recreation of ancient Greece, in a gigantic open world with hundreds of missions and activities quite similar to each other, which creates an issue on an excessive amount of content, which ends up being repetitive. With a combat and stealth system practically identical to the one introduced in Origins, and some new features such as being able to pick our dialogue and the possibility of making decisions, the result is again a very entertaining adventure, although not memorable, and one that will please sure both those who enjoyed the previous one and simply the lovers of action RPGs, of the open worlds and those who are attracted by this exotic setting, possibly the best of the game. The series makes its greater trip to the past, at the beginning of the war of the Peloponnese in Greece in the year 431 a. C., a conflict that faced several cities divided into two camps, led by Sparta and Athens. 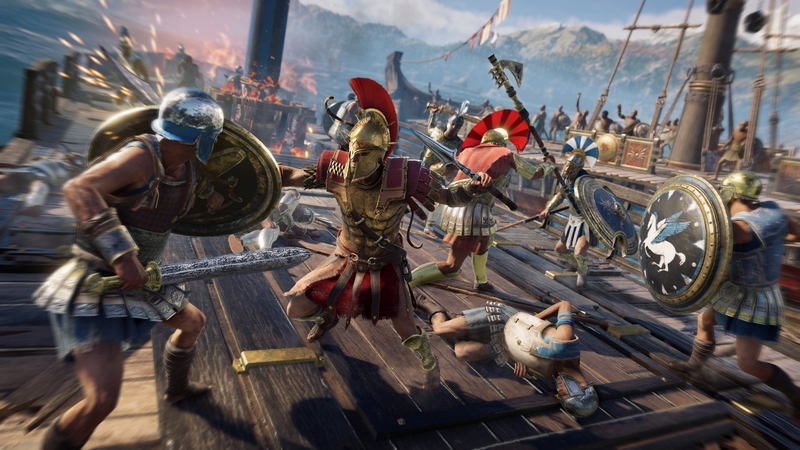 We get into the skin of a young Spartan, Alexios or Kassandra, a purely aesthetic choice, since the development of the game is exactly the same for the two characters. Thus we will live an entire odyssey, where the political and military conflict is mixed with the tragic family history of our character. 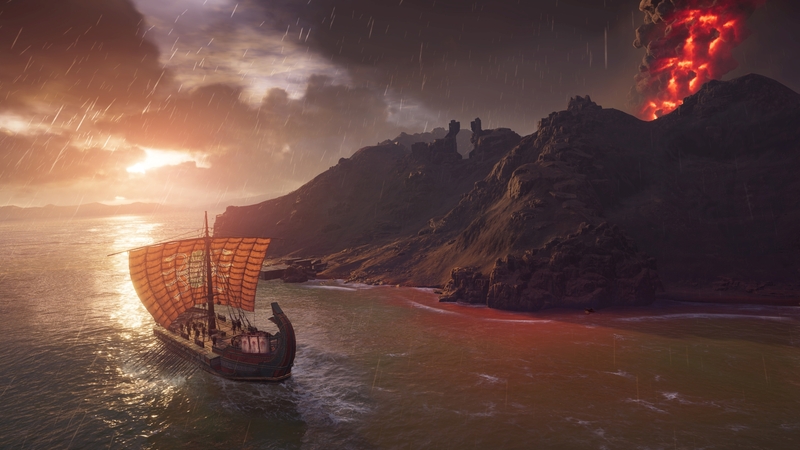 This serves Ubisoft to take us through all the iconic locations of Greece that you can imagine, to involve great historical figures such as Herodotus, Socrates and Pericles, and to use everything we knew from the charismatic Spartans thanks to 300, whether it was the movie or the comic on which it was based. Politics, philosophy, theatre or even the Olympics, all Greek culture – and its clichés – are represented, including its mythology, and we are without a doubt one of the best settings in the entire saga. The story has seemed simply correct, although better told than in Origins, and its connection to the rest of deliveries is quite weak, recovering the First Civilization plot, from which we get new details. The strong personality of our protagonist we liked a lot, being one of the best characters in the entire series, and that there is a system of conversations in which to choose certain phrases is very good, and get you involved a little more with what they are telling you. In addition, you can make some important decisions throughout the game, such as choosing the fate of a character, which can open or close missions and lead to different endings. There are not many bifurcations or possibilities, but it’s not bad, and it’s a good first step. Of course, we are still surprised at how hard it is for Ubisoft’s games to build good stories and characters, to get them to connect with their narrative, a “simple” detail that completely marks the difference between a title like The Witcher 3 and this, a game in which Ubisoft clearly has been inspired for this new installation of the series. One of the problems of the story is that it does not last for 40 hours, which is what has lasted the main plot going to the point, and what they do is to lengthen it constantly artificially with missions, errands and rides that prevent us from continuing the plot, or putting level barriers of experience that force us to stop to make secondary and improve our character . 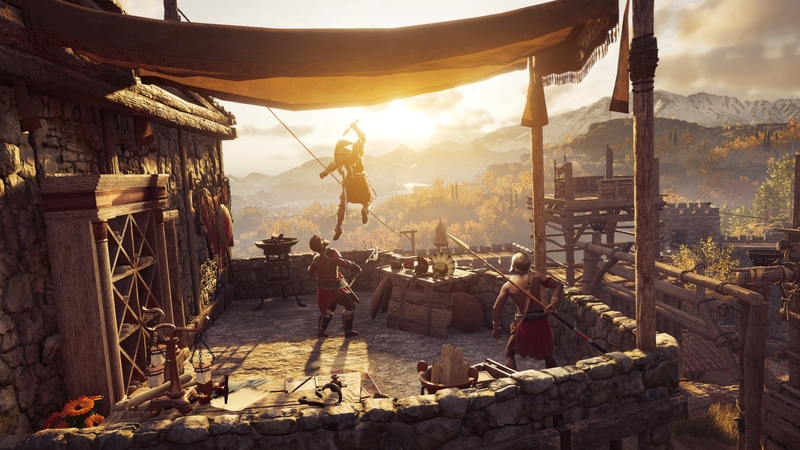 Everything that refers to the difficulty factor is better managed than in the launch of Origins , since now both enemies and missions are levelling up to the rhythm of our character, so there are no secondary missions left unusable, always It rewards making any content, and the difficulty is adjusted at all times and is appropriate. The problem as we say is in the story, that maybe you have level 25, suddenly the next missions take a leap to level 31, and this forces you to stop to improve the character, preventing you from focusing on the main plot, and lengthening the game duration in a rather artificial and sometimes tedious, with a lot of side quest missions and some of these missions are a bit absurd, this is probably the Odyssey’s biggest problems . As an action adventure in terms of playability, we can not blame almost anything, everything works quite well, both mobility, as stealth and combat, which has been refined, and even RPG elements, such as trees of skills and equipment and weapons are well designed, clearly and simply, and it is itching to progress and improve the character. Your problem comes from the contents, hundreds and hundreds of missions that feel very similar to each other, and as we said before with other Assassin’s Creed – and Ubisoft games in general – we would have preferred half of the contents but with more challenge to it. It is amazing how, when trying to remember the design of the main missions, memorable moments do not come to mind, no epic, ingenious or surprising situation, no remarkable final boss, everything is routine, you have the feeling of being there for hours and hours doing the same thing. Assault locations, kill a target or steal an object, examine a few tracks in perfectly indicated scenarios and give many, many walks from here to there, for its excessively large and beautiful map. The sandboxes are often accused of not being able to avoid the feeling of feeling like a messenger because in this game they do not try to hide it, but embrace this concept with enthusiasm: it is the definitive messenger simulator. There are some situations and sympathetic dialogues, sometimes interesting ideas and dilemmas arise, but their good moments are diluted in tons of insubstantial and quite repetitive contents. 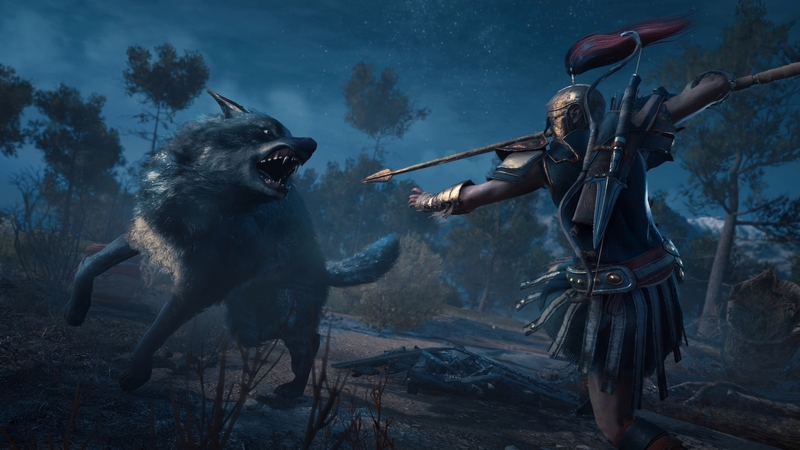 All this we have said may sound very hard, but the truth is that we have not had too many objections to play more than 50 hours in just a week, because Assassin’s Creed Odyssey is very entertaining, despite all the shortcomings that we have explained. With a year of difference from Origins, as you can imagine we are facing a fairly continuous adventure, but the change of setting and the small playable novelties get you do not have the feeling of playing exactly the same. The combat is very similar, although it works a little better, and is more focused on the use of special skills, which we unlock throughout the adventure, and know how to dodge and parry, stopping the blows. The shields have been eliminated, and the truth is that they are not missed, although argumentatively it does not make sense to be submerged in a war in which everyone uses shields less our character. The variety of weapons is adequate – sword, dagger, heavy weapon, baton, spear and of course the essential bow – and you are constantly getting new pieces of equipment to improve the character, which is rewarding. Everything that refers to the progression, all the weapons as the armour, as well as the skill trees, is very well carried as we said before, and the enemies having “auto level” always offer a challenge, the game never breaks. In stealth there is nothing new, it is still very satisfying to clean a location of enemies without being seen, and we are accompanied by an eagle that serves to observe the surroundings and mark the rewards and threats, exactly as in Origins. The news comes for example with ships, since we can navigate with large ships as in Assassin’s Creed IV: Black Flag, and fight with them and assault enemy ships. 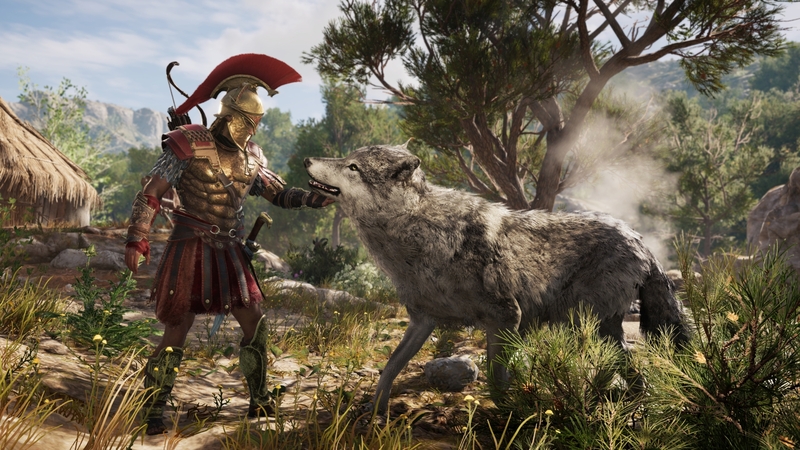 Aware that it was a feature that divided the players a lot in that game, in Odyssey they did not want to abuse it in the main story, and dedicating time to this part is something very optional. 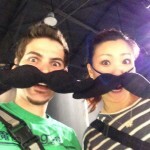 Then they have included in the great framework of the adventure up to three new systems, with different weight. We have a system of mercenaries, a series of especially strong enemies that persecute us all over the world. As we carry out misdeeds and clean up camps in the region of the shift they put a price on our head, like a GTA search system, and we can follow up to five mercenaries, which causes unpredictable and quite funny situations, like a kind of light version of the Nemesis system of Shades of Mordor . If your presence bothers us, in addition to killing them, we can pay an amount of money to stop us from continuing. Eliminated enemies and different resources of the army of a region we facilitate the fact of access to their leader, kill him and thus be able to fight the battle of conquest, a confrontation between dozens of soldiers that is quite spectacular visually, but which is playable little more than anecdotal. More interesting is to kill the members of the cult, a series of people belonging to a sect whose identity we have to keep uncovering little by little, finding clues, so that afterwards we can go after them and kill them, something that will be for many hours of play. A novelty that promised to be able to follow the missions and their objectives with a guided mode, as always in the series, or with the new exploration mode, which does not indicate exactly where we have to go in each moment, but gives us a series of clues that we have to interpret. In the end, these are so clear that the only thing you have to do is open the map and observe it a few seconds to find the place they tell you and do not change things too much, although it is appreciated. Maybe for future deliveries, they should be a little braver about it, although we understand that they are afraid that the players will get lost because the map is exaggeratedly big. 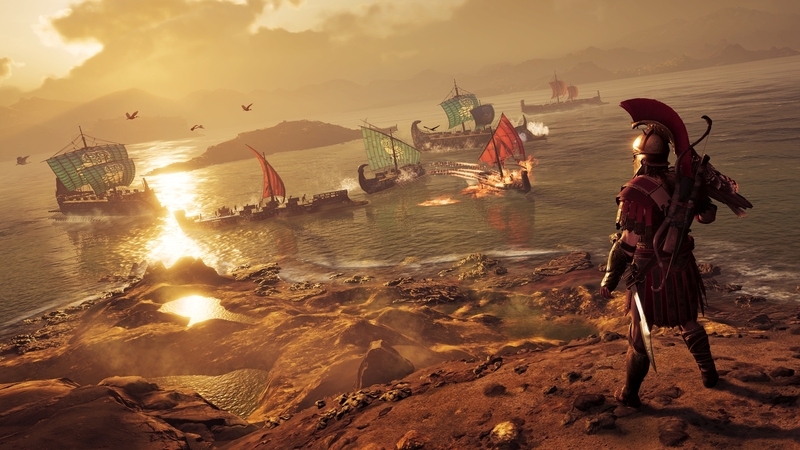 As we have said several times is a gigantic game in terms of size and amount of content : we can perform hundreds of secondary missions, temporary missions and commissions, complete locations such as forts, caves, temples and find treasures sunk in the water, improve the ship, hunting especially strong animals, discovering each map location, competing in a combat arena, as in Origins, and there are some series of secondary missions that are not bad, like one related to mythological creatures. We could say that the endgame or high-level content is a little more varied than in last year’s game, and once the story is complete there are many things to do, more than 100 hours for the most complete, so no one can complain about quantity, although another thing is the quality of all these contents. 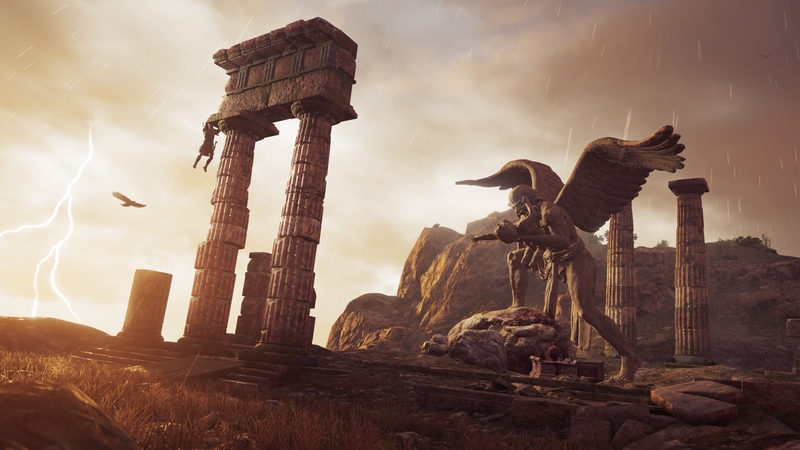 Once again what is irreproachable is the setting and the world that have been created for the occasion, the recreation of ancient Greece is a real spectacle, the sceneries are so beautiful, they will make you stop on more than one occasion to appreciate its beauty or take some screenshots. Ubisoft has already accustomed us to this in its great open-world games, but we must continue to emphasize it. The game technically works quite well in any of its versions, despite the logical differences in resolution, the detail in the drawing distance or a specific defect as the most popping in the “original” consoles, but nothing too serious. The least we liked are the animations of the characters, especially the NPC, quite artificial and even funny in some situations, such as their way of running or those classic cartwheels that hit the ground when we are going to run over them with a horse, something traditional in the series and that it is time to correct. In the sound section, we have a couple of very good main tunes, but they end up using too much, and it’s not a soundtrack that will go down in history, and the ambient sound is just right, nothing especially remarkable. 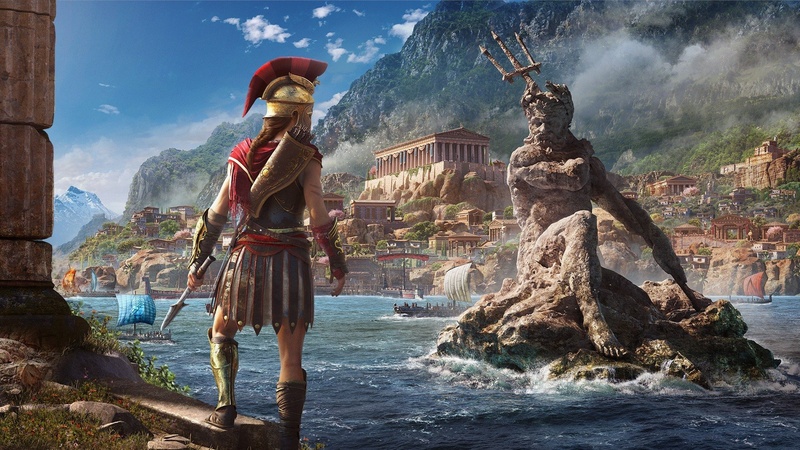 Assassin’s Creed Odyssey is a good action-adventure and an open-world role-playing game, and if you are fan of the series and you are attracted by the atmosphere it is evident that you will enjoy Odyssey, it is a very entertaining game. 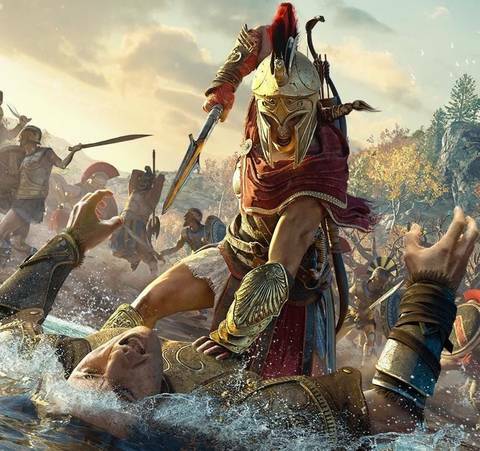 Odyssey’s biggest rival is Origins, from last year, too close in time, and suffering from the same issue by offering too much content, without much challenge side-quests are repetitive or routine. We would prefer a game with fewer quests(shorter) but with a more elaborate and better-written story, without so much side-missions, although there are some missions that surprised us with their design and quality, with unforgettable moments. We hope that they will learn from their mistakes and the series will be able to make the definitive leap of quality that it deserves; Meanwhile, we will have Odyssey, which despite its flaws is a very enjoyable game. We have done this review on a PS4 PRO with a download code provided by Ubisoft. As far as I can remember, I've been surrounded by technology. My father bought us a Commodore 64 so I started playing games as a baby, following my passion with Amiga 500, then PC and so on. I love game related collectibles, and when I'm not collecting I review games, watch movies and TV Shows or you may catch me keeping a low profile at Game Events.